In an unprecedented move, Texas is now the first state to initiate a licensing accommodation policy for military spouse attorneys without a formal rule change so that it could begin consideration of military spouse applications immediately. Following a Resolution signed by the Conference of Chief Justices, and MSJDN’s tireless work advocating for the portability of legal careers, Texas has instituted its “License Portability for Military Spouses” (“LPMS”) policy to allow for admission for military spouse attorneys stationed in the state. Citing their existing rule allowing admission for attorneys with five out of seven years of active practice, the Texas Board of Law Examiners (TxBLE) indicated the LPMS will allow it to consider formal requests for a waiver of the practice requirement for military spouses. These will be decided on a case-by-case basis by the BLE following the provision of specific information by the military spouse. 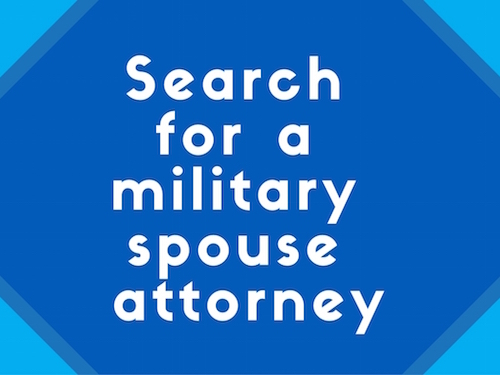 The LPMS also grants military spouse attorneys a significantly reduced application fee, and waives certain late fees typically required of applications not timely filed for both admission-on-motion and bar exam applications. Further polishing on the LPMS is likely, and the TxBLE will be working closely with MSJDN on its implementation and fine tuning. The LPMS is now in effect and available to military spouses currently stationed in the state. More information about the LPMS, including information about the items needed for a formal waiver, is available at http://www.ble.state.tx.us/applications/apps_other/Military_Spouse_info.pdf. The Military Spouse JD Network is an international network of legal professionals improving the lives of military families. We advocate for licensing accommodations for military spouses, including bar membership without additional examination. MSJDN has over 650 members all across the globe, and includes military spouses and partners from all branches of the United States Military: Air Force, Army, Coast Guard, Marines, and Navy as well as spouses of retired service members and legal and military organizations who support our mission. For more information, email info@msjdn.org. GREAT news for Military spouses!